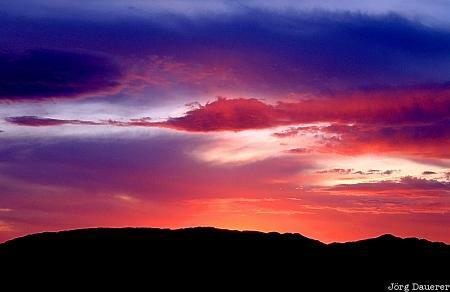 A colorful sunset over the desert of central Nevada near Caliente. Caliente is in Nevada is in the west of the United States. This photo was taken in the evening of a cloudy day in May of 2002. This photo is part of the exhibition The color Red (June 2006).